Hi i have a 2012 model and I get the big clunk from 1st to 2nd. 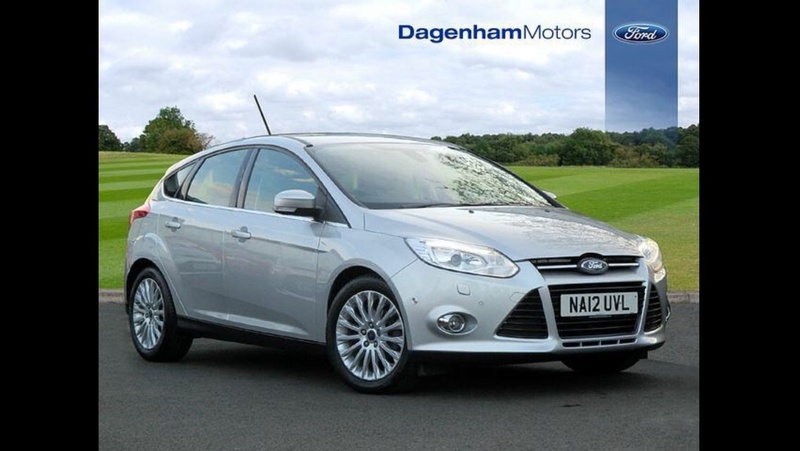 It has been looked at by Ford when I first bought the car and they could find nothing amiss. Ive had the car almost 4 years and do 20000 miles a year so I don’t think there is too much to be concerned about. Having said that I do not get a crunch as you describe so I can’t comment on that particular issue. Hi all. The ambient lighting on my 2012 titanium x seems to have gone wrong. As as far as I know the lighting came on when the headlights came on. However now this isn't happening. When end the lights are on now none of the ambient lights come on. If I press the button on the overhead panel next to the rotating dial the lights beside the sunglasses holders come on white. When the the car is turned off and the doors are opened all the lights come on on the door pulls and beside the sunglasses holder. Ive not tried pulling any fuses or disconnecting the battery yet as I'm out and I've only just noticed it. But it's annoying cause the car was perfect more or less and I don't like broken things. Does anyone one have any experience of this or any ideas. Thanks adrian. I like these. On my 2nd lot now. Quiet, really grippy come rain or shine and they have lasted ages can't quite remember how far I went on my first set of front but I think it was about 30000-40000 miles. All motorway but even so they are impressive. Hi i need some help and advice please. The air con in my car does not seem to be working. The fans are throwing air into the car ok but it isn't cold and it don't matter how low I go on the temperature it gets not colder. So so I had a look under the bonnet and tried turning the air con on and off to see if the fan or compressor clicked in and nothing seems to happen. Could it need just a re gas or do you think there's a bigger issue. I'll get it booked in but just wanted some suggestions. The air con is always on in the car so I can't see it being perished gaskets. And it's regularly serviced on schedule by ford. It's a 2012 1.6tdci titanium x. Thanks adrian. Yes they are split. I've had the wheels off today and had a look. To be honest, to me they don't look that bad at this moment in time. There is a split both sides. Quite small currently. Just spoke to haynes ford in Maidstone and they can do both wishbones for £228 quid if I buy them together which would save me about 40 quid. However ive found replacement ball joints by either moog or Delphi for about 30 quid all in. So 228 still seems excessive. The rest of the arm on both sides look fine. There are no knocks clunks rattles or anything coming from the front so in my mind the ball joints although probably a bit more fiddly seems the way to go. What does anyone else think? I'm certain the brake fluid has been changed in the last service that they did or at least the one before. I've looked after the car as best I can as I am keeping it probably until it becomes uneconomical to throw money at the air con degas was done in the last service or 2 as well however ford say they can find no record of either this or the brake fluid being done despite that garage being the only one to ever service the car since I've owned it does anyone know how easy it is just to change the ball joint rather than the whole arm? This is the report sorry its side on 3-4mm left on pads. If if I take a wheel off would I be able onsee for my self the state of the ball joints? Or do you need to be underneath? thats what i thought. i've got the breakdown here. They want £142 for the discs, £135 for pads, £253 for offside ball joint and £248 for nearside. That makes £778 so not quite £800. Its just amazing what they charge. Hi all. Ford have just rung me as they have my car for service today and they are saying I need new ball joints at the front on both sides as well as brake pads and discs. The total cost is around £800. i'm reluctant to pay this as the car is 5 years old and also a friend of mine is a mechanic who can do the work. but I've been looking online for ball joints and what comes up is a bit bewildering. So I can buy just a ball joint for about 30 quid or a whole arm for about 100 quid. I haven't looked into ford pricing yet. What i plan to do is when i get the car ask them to write the part codes for what i need on the report. but 800 quid just seems like too much money. Am i right or wrong??? I've got the same model. I believe they have some sort of electronic steering lock that arms when you get out. Mine certainly does anyway. I've had a full set of Hankook Ventus v12 Evo2 on my car for about 18 months now and I think they are excellent tyres. I do about 18-20000 miles a year and they still have a fair amount of tread left and the grip from them is amazing. Fuel consumption is as good as the michellins they replaced. They may be slightly noisier but they are not noisy. The car is still pretty quiet. All in all they were about 80-100 cheaper than a full set of michellins and I'm well impressed. On my titanium X there is a knob by the sunglasses holder in the roof lining. You our turn it and the colour changes. But you can only do this when the lights are on inside the car. it's was a surprise when it happened I was just driving along minding my own and bang then everything was covered !